A love cool water and I love buying it for him! well.. it seems MCS no more! can finally see everyone's frustrated smileys!! LOL! 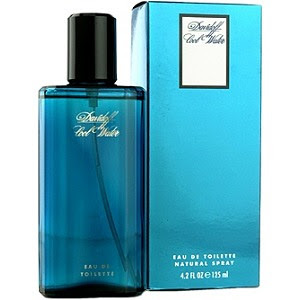 ooohhh i love davidoff cool water!! it's sooo best smelling!! LOL! stay away from him until the scent wears off a bit.. I hardly ever get a chop over at MPG, ane! Hahahaha must not sleep I can understand.. must not eat. umm.. I cannot!! Hahahah let's drown MPG with our tears and wash away everyone's points! LOL! Hi marzie! done yr tag and also I used to smoke Davidorff tobacco!!!!! haha! Lol @ must not eat! I cannot do that too! Lol!! I chopped at MPG once, I think! I enjoyed reading your conversation with Bem Bem, Shem! Oh Davidoff tobacco sounds classy Bokjae ha ha! Ha ha ha funnynye Shemah nak drown out other commenters at MPG lol! Happy yakking ladies, when I get in the mood, I too will be yakking away, I think it depends on the topic at hand. The more interesting the topic, the more I yak lol! Ane and her portable loo he he! Tak ngam for C, Debbs? Tak best when he wears it? So what’s his fave eh? Thanks for chopping Debbs, boo to MCS! Hmmm byknye smileys here, semua MCS ke? MCS also stands for middle child syndrome, GP! Which is not good either! :( Boo to MCS! LOL!!!! Ooopsie aka pahtwoman, although I still laik aka phatelara ha ha! Debbs, I agree! Boo to middle child syndrome, but u the first one kan? Oh of course la, dowan ppl to call me phatwoman lol. Yup I am the first one. My sis la got MCS, until now, I think. She's doing a lot better though, thanks God. LMAO @ C being old skool! Wahahaha...he kan sangat old skool, he'd ask me why Blair wears yellow and purple in Gossip Girl lol!! Tere, come comment at my latest post, giving out points there dearie! Yup, I am happy for her, but nervous too! She's training to be a nurse tu, right now she's doing practical in Sarawak GH. :) I hope she'll learn a lot more about life as she goes through the training. Wahhhh nurse gitu! How old is she Debbs? Duka lara in a sentimental love way Debbs, which is good! Of coz still phat! Oh I thought dah habis you watch GG S1. :) Now S2 pun dah nak abis. :) Ye la tak syok watch alone kan? B watch Boldie with you or not? I have like 2 more eps of GG S1, tak tertgk. S2 blm DL lagi pun! Yeah, B n me watch Boldie, sometimes dia pulak yang more angers than me at Brooke etc LOL! Aiyo, ya la my geng lol!! Ah tu la, best duka lara in sentimental way! Tu la and sometimes dia pulak Tanya bila nak tgk Boldie, boleh? LOL! Ha!! Tu la! Mmg pemes Boldie, and I’ve been watching since day 1, so obviously cannot stop watching! Yeah I’ll update b of coz, and then we discuss! Hahahaha! Yeah, I think can use as reference in case want to buy perfume. Can compare prices hehe. Oh wow!! Boldie every day kan? Tula berjuta-juta their fans all over the world. How many generations dah the family in Boldie ya? Ohhh no notifikasi eh? U dah email Alex? Oh, 3rd generasi got teens ke, GP? Of course must have irritating characters kan in soap? Kalau tak, bukan soap namanya. people haven't died yet?? They're so ancient!! My MIL that day asked me la if I watch Boldie and happily I told her yes and terus update her, boleh? LOL! I think I saw Rick's picture, mmg tak cute!!! LMAO! general hospital.. LOL! Sanggup rush from classes to watch that! LOL! I use my gmail through outlook.. like recommended by LJ! Memang tak cute Debbs!! Biut ada lah!! LOL! Hahahaha she can't stand boldie.. LOL! Ha ha tu la, my MIL at first saje Tanya ingatkan I don watch, alih2 expert LOL!!! OMG!! I prefer the "old" rick! He was waaay better looking kan Marzie??? the new rick.. I can't stand the new rick!!! Oh is it?? no wonder my mother knows Nick! LOL! my kid sister suka boldie tau.. if she's around.. memang best tgk!! LOL! Ugh! I can't stand the new Rick too! I want to run him over with my car!!! Oh why la got new Rick? Change actor ke? Hmmm...tak syok isn't it like that? him! LOL Stupid Rick Forrester must die!! Hahahahah I don't drive.. but if I could, I'd run him over too!! LOL! Hahaha lmao @ biut Rick. Kasian!! converting gmail to outlook was pretty easy for me..
whatever happened to little Eric right? I bet he's not so little anymore..
practically grew up on boldie!! True debbs!! he is biut!! LOL! My mom follow GH! LOL! little eric die or something?? little Eric, with Deacon perhaps? Lol why is this Rick so irritating? Is it because the character is a jerk or what? Ah okay...it's weird isn't it, watching the same character played by different person. Hehehe my mom watches Indonesian sinetron! Lol!! !